The elegant Stanley and Livingstone is set within the game-rich Victoria Falls Private Game Reserve, just 10-minutes drive away from the world famous Victoria Falls. Representing the grandeur of a bygone era and catering for the most discerning guests, this boutique hotel allows you to experience one of Africa's great highlights and the myriad adventures available around Victoria Falls, in utmost glamour and style. The Stanley and Livingstone has been completely refurbished in recent years to cater for the most discerning of tastes, with only 16 exquisitely furnished suites, including the sumptuous honeymoon suite, to choose from. 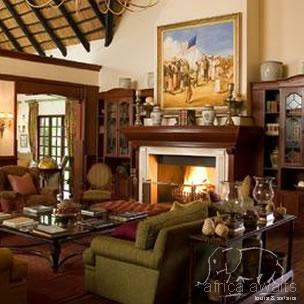 No detail has been spared to make your stay at the Victoria Falls one of uncompromised luxury and finery. Each suite embraces a spacious bedroom, sumptuous Victorian-style bathroom, living-area with all mod-cons and a secluded patio overlooking the African bush. The elegant bathrooms blend old and new influences - a romantic Victorian bathtub, modern power shower, and a range of amenities for decadent bathing. Every suite offers air-conditioning, mini-bar, safe, DVD player, satellite television and telephone. In the evenings, the plush bar area is a natural gathering place and guests are encouraged to visit the handsomely-stocked wine cellar that boasts a selection of connoisseur's favourites from France and South Africa. The elegant dining area is in a class of its own and offers the definitive fine dining experience in Victoria Falls. Service is impeccable and the food superb, with the emphasis on fresh local ingredients, lovingly prepared by a master-chef. The Stanley & Livingstone consistently earns accolades for best hotel, restaurant, hospitality and service in Victoria Falls and proudly takes its place amongst the finest hotels in Africa. Our staff regularly receive accolades for their outstanding service and attention to detail, and they are dedicated to ensuring that each stay here is memorable. Read the guest comment book during your stay! Step out of the African bush at the Stanley and Livingstone and enter a world of gracious living whilst being transported back to the pioneering adventures of the early European explorers, Henry Morton Stanley and David Livingstone. Here you will savour the true elegance of a bygone era, from your breathtakingly sumptuous suite to the elegant dining-room and wine-cellar stocked with world-class wines. 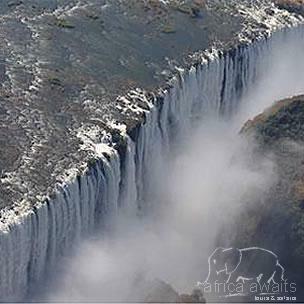 Victoria Falls offers a breathtaking array of wildlife and water adventures to cater for all tastes. From your base at The Stanley and Livingstone we offer the finest activities available in the region. With your holiday, safari or business trip from in to Stanley and Livingstone in Zambia.